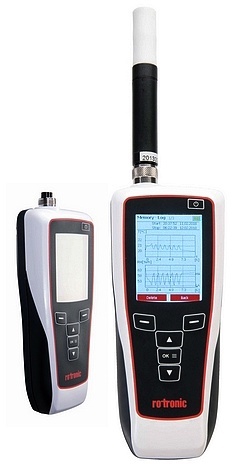 The HygroPalm HP32 is a versatile hand-held instrument compatible with all Rotronic HC2A and HC2 probes (sold separately), it is able to perform spot measurements and logging of relative humidity, temperature and psychrometric parameters. The instrument can be easily applied to a wide variety of applications such as field inspection and spot checks in HVAC, building management systems, agriculture, food and the pharmaceutical industry. The HP32 is supplied with soft case, micro-USB cable (computer connection and battery charging) and HW4 LITE license key (3 instruments connected max). Note: Probe shown in image is sold seperately.